You can use this jQuery Hotspot Plugin in a product introduction or image showcase, which support the auto delay slideshow and can trigger by click or hover. Works fine in the mobile device like iPhone or iPad too. Auto delay slideshow, hover to pause. Trigger by click or hover. 4 types of popovers with different animation. 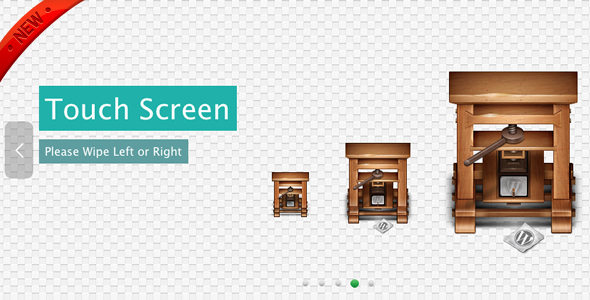 CSS3 transition support in the modern browser, fade only in the old browsers. It’s lightweight, the compressed js file is only 4k. The source js and layered png files, FAQ are all included in the source package. Free update in the future. 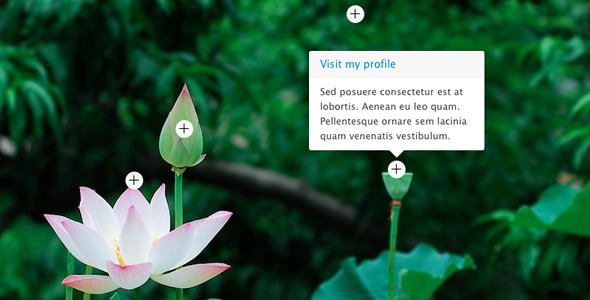 Popover is from Twitter Bootstrap we use only part of the necessary code, so it’s lightweight.